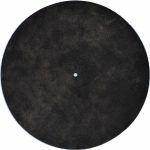 Which Turntable Mat Upgrade Should You Choose? About 4 years ago I decided to upgrade my rubber turntable mat. I looked on both Amazon and eBay to see what my options were. I had seen cork mats in audio magazines, but I was not sure if the cost was worth it. 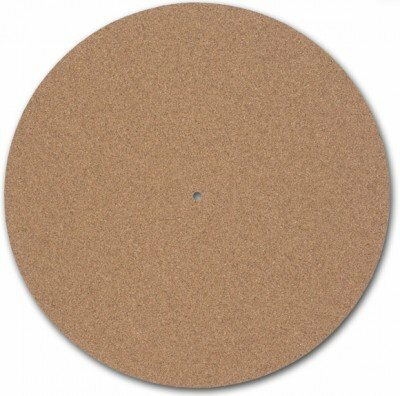 After looking through listings and reviews I decided on a cork mat and placed my order. I live in Iowa and during the summer months we have quite a bit of humidity. Therefore I did not notice the problem I had with major static buildup until a few months later in winter. The buildup was so bad that at one point I lifted an album off of my turntable and the mat came with it. I had to get my fingernail in between the record and the cork mat to seperate them. I started looking for a different option a few weeks later after this kept happening nearly evey time I took a record off the turntable. 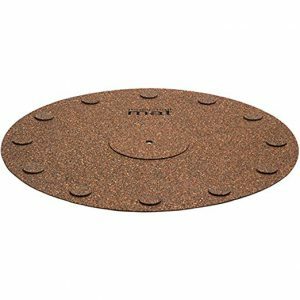 I would recommend a cork mat to anyone who lives where you will not have excessive static buildup. The cork was sonically superior to the original rubber mat on my pioneer turntable. If there had not been a problem with static I would still be using this cork mat today. Click Here to be taken to the cork mat I recommend most. It offers these great benefits. I looked into the Milty Zerostat as a fix to the static problem, but at the time could not afford the $99 gun. It was cheaper to upgrade to a leather turntable mat instead. I may actually us this cork turtable mat again now that I own the Milty Zerostat and just zap the record before lifting off the turntable in the winter months. The Milty is currently even better priced on Amazon – Click Here to be taken to the listing. 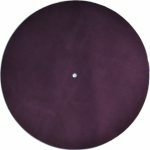 Since I wasn’t buying the Milty I started to look at leather turntabled Mats and found an attractive mat on Amazon. Looking at the listing and reviews it seemed like exactly what I was looking for. 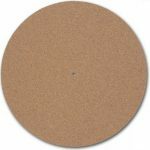 Durable, soft, and people said even better for sound quality than the cork mats. On top of that you could pick your favorite color. I went with the deep purple one pictured on my turntable to the right, and have been in love with it since the day I put it on my platter. Not only does it have no static buildup issues but I feel that it is even more gentle on my LP’s than the cork turntable mat was. This mat is very easy to clean off. I just use my carbon fiber brush to wisk away any dust or debris that ends up on the mat. You really can’t go wrong with this item. I also enjoy how classy it makes a turntable look. I get compliments on it from almost everybody who sees it, and have turned a few people on to them as well. I hope you’ll consider giving one a shot. 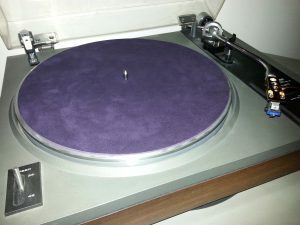 Click below to be taken to some of the best turntable mats I have found online. If you have any questions for me leave a message below. Or you can contact me at eric@cleanyourgrooves.com – Thanks for stopping by and Happy Listening! I have had the same rubber mat on my turntable since I bought it. I would have never thought of replacing it, but your post is inspiring. It gets humid here in RI in the summer as well. Who would have thought of a cork mat? Well, I will have to consider this. Thanks for the info! Thanks for your comment Kevin. 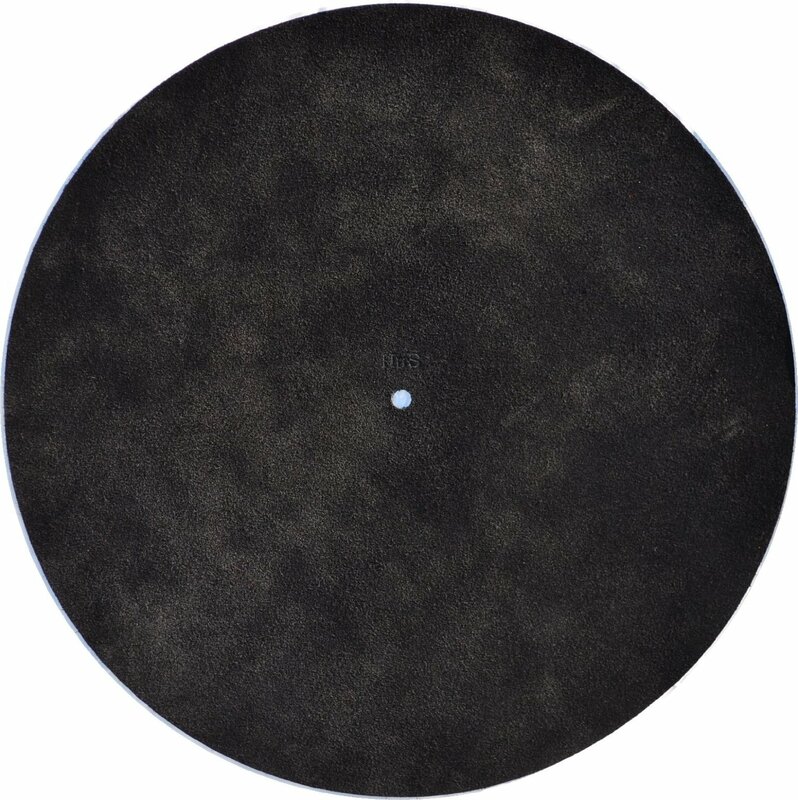 I hope you do try an upgraded turntable Mat. A great Mat for humid climates is a cork/rubber Hybrid. I’ve never used one of these myself but have heard they work great. I’m glad my post gave you some useful info!